Description: 5 foxes sitting with hounds. 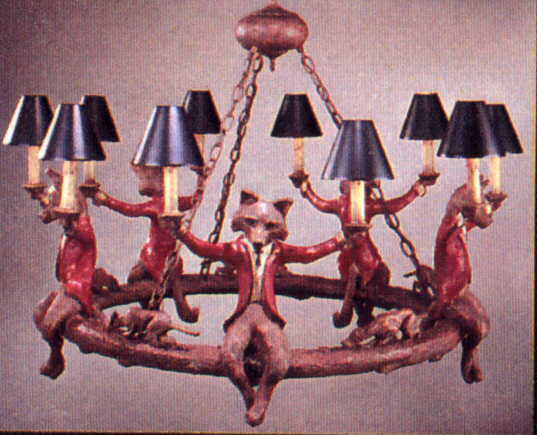 Also: 3 fox $1800; 4 fox, 38" for $2475; 6 fox, 46" for $3700; two tier. Resin and steel. Other styles also. Shades extra.